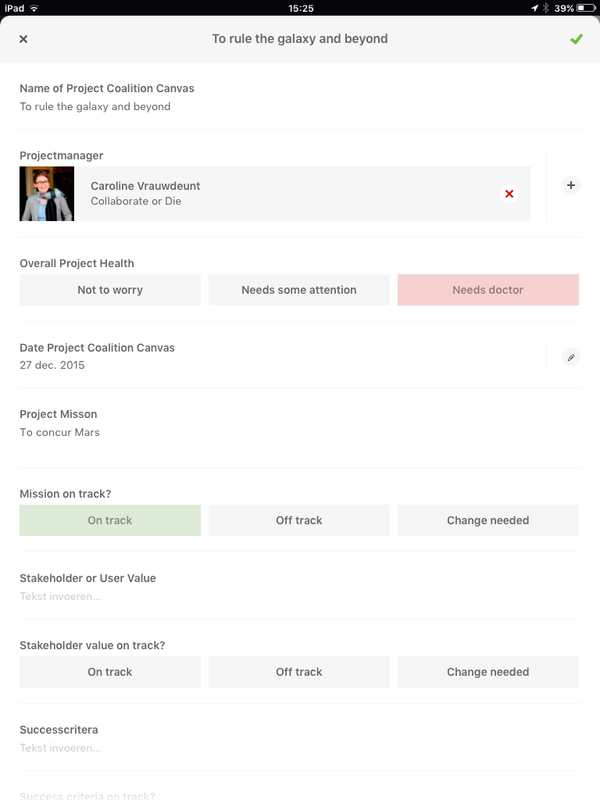 Finally the Project Coalition Canvas gives you the tool to not only to appoint your tactical results, but also the strategic mission of the project. With your projectpartners you can use this canvas to make clear what they want out of the project. Talk about what is critical for its succes. And plan how to get there together. Think how to manage the uncertainties you are confronted with at the beginning of the project. Discuss with your partners how to act in different scenarios. 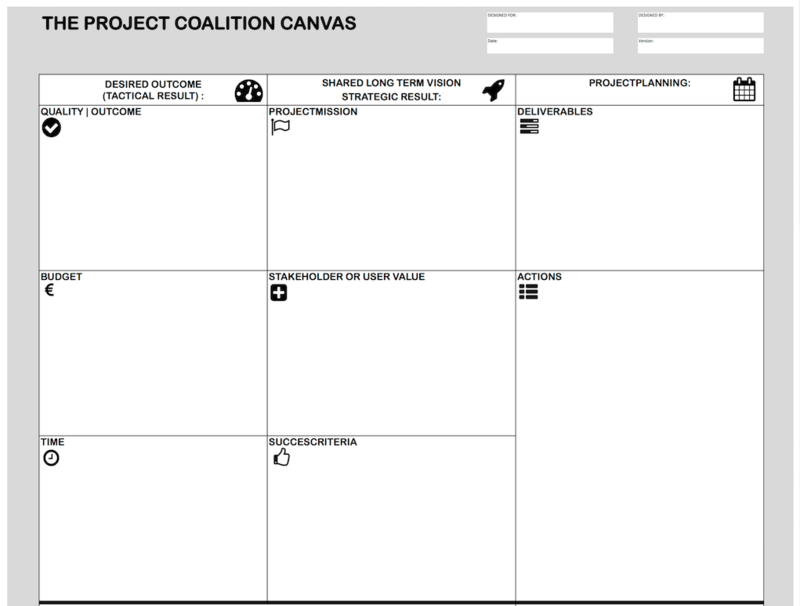 The Project Coalition Canvas is great for your project start-up and can be of great value evaluating your project during execution. Asking yourself and partners if you are still on the right track, do we still have the same expectations?